Ground-floor room for one or two people equipped with a queen-size bed (160 x 200 cm), bathroom with a shower, separated toilets, TV. 87 / 97 € € for 2 people, breakfasts incl. 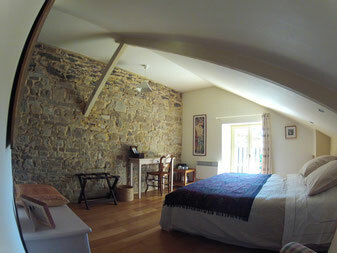 First-floor room for one or two people, queen-size bed, spacious bathroom with a shower, TV. 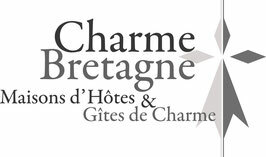 87 € / 97 € for 2 people, breakfasts incl. 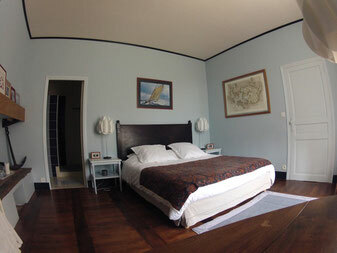 Spacious first-floor room with sofa, queen-size bed (160 x 200 cm), spacious bathroom, TV. 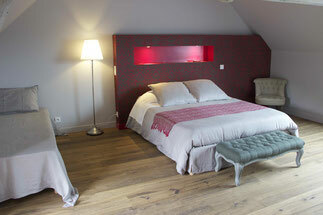 97 €/ 107 € for 2 people, breakfasts incl. Very spacious second-floor room for one, two or three people, queen-size bed (160 x 200 cm) and single bed (90 x 200 cm), spacious bathroom with shower, separated WC, TV. 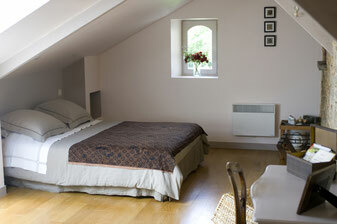 109 € / 119 € for 2 people, breakfasts incl.